In Texas, many people have become aware that they should create an estate plan that deals with the distribution of their assets when they die. In fact, the same people know that common tools in estate planning include a will or trust. However, what they may not know is that the on-line estate of a person is as important as that of the physical estate when working to create a comprehensive plan. A digital estate includes both traditional assets like money and more emotionally related, sentimental items, like photo storage sites. These can all be dealt with in estate planning documents. For example, Google has a method in which an account owner can set who and how their accounts can be accessed when they die. Other websites have similar options available. Important for those left behind is the information as to what on-line accounts exist. This can be included in estate planning documents. The details about the accounts should be updated regularly as people add accounts and information to the web. In addition, passwords should be kept separately, and out of the estate planning materials that can become public at the time of death and probate. Estate planning may seem overwhelming to some in Texas. This is because of the difficulty in ensuring that all assets have been accounted for and that the plan that they create is complete. To be sure that this is the case, it may be helpful for an individual to review all available options and seek advice from those with experience in estate planning. Bricks and mortar businesses are inexorably coming to the realisation that a substantial amount of their business value is intangibly trapped in information. For online businesses, practically 100% of their assets are made up of information and the most valuable of all happens to be related to individuals. Information such as visitor, member, and client contact details are eagerly captured by online companies. The deeper and more detailed it gets, the better it is for the online enterprise. The ability to create an accurate client profile is true power and online businesses know it. They fight tooth and nail to attract new members, sign up subscribers and remain in front of as many contacts as possible. Individuals’ contact information and whatever other identity-related data they can cram into their customer databases is precious and allows them to put a value on their company, even if that value is largely theoretical. If companies go through all this trouble to get data, would it not follow that their executives would rather part with their coveted reserved parking spots before they consider allowing a single, hard-earned entry to be removed from their customer relationship management database? Absolutely! As long as the online businesses we deal with are subject to a privacy law based on the OECD data protection principles, we can count on the fact that limited retention is legislated and should expect our data to be purged from their systems after a ‘reasonable period of time’. What we should concern ourselves with is keeping track of all the data that is out there in detailed online and offline profiles. 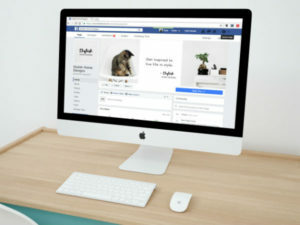 Social networking sites, email systems, other data sharing systems, e-commerce marketplaces and online auctions all try to build detailed profiles to allow for customisation of marketing messages, the likes of which deliver real value to online advertisers. With the near complete penetration of the Internet across all age groups, we are increasingly likely to hear the term ‘digital estate planning’ (DEP) from tech-savvy lawyers. A search for this term yields a mere 70 hits on Google at the time of this writing, but give it a try in a year or two, and it be entrenched in the legal vernacular. With our information now spread across dozens, perhaps hundreds of Internet sites and corresponding numbers of back-end databases, DEP is easier said than done. Social networking sites such as Facebook likely consider their early policy of ‘no deletion, only deactivation’ to have been a key driver of explosive growth as their user base shot past 100 million. Other sites that may have been more ethically inclined did not have the same opportunity to rekindle relationships with returning users. With global pressure to adopt data protection best practices, more and more firms are finding that they need to offer options for purging individual information from their systems. The potentially vast amounts of information about deceased, Internet-active individuals may well turn into an insurmountable task for many, or an expensive task for a legal professional who wants to delve into DEP provisioning. Sites such as Hotmail, Yahoo! and Google all allow next-of-kin access to the deceased party’s information upon presentation of proof of death and proof of relationship, but a process needs to exist to manage all such related activities. Such a process can be based on a solid foundation of privacy legislation but, from the subject’s perspective, it must be consistent with existing best practices for password management and profile maintenance. It is important to remember that information represents the building blocks of our identity and beyond the proper disposal of our data-based estate resides the very real threat of identity theft. That threat is real and has been for years. Husnain Kazmi is Vice President for Bank of America in Southern California. Kazmi says that in 2004 alone, some 400,000 checking accounts were reportedly opened in the US and millions of dollars in car loans were approved in the names of deceased individuals. 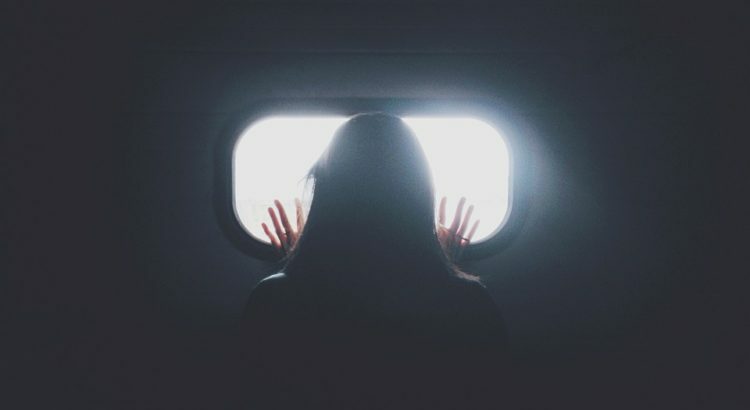 This particularly effective type of identity theft is called ‘ghosting’ and most often occurs as a result of orphaned data being harvested by IT-savvy criminals looking to profit. Governments need to step in and proactively install legislation that will protect citizens. Provinces in Canada, for example, are taking steps to establish privacy legislation around medical records. Many in the health care system view the legislation as crucial to the successful implementation of the Pan-Canadian Electronic Health Record (EHR) system under development across the country. We may all soon be in need of an internet-savvy, privacy aware, digital estate planner. Unawareness. In order for the fiduciary to take steps essential to property handle the belongings of the property, the fiduciary has to pay attention to these belongings’ existence. Digital Bureaucracy. 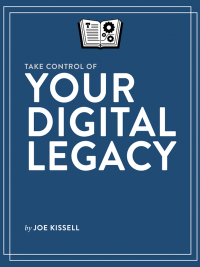 Many of the businesses that function custodians of digital media, accounts, and companies, have created some type of aid for the fiduciaries and the members of the family of the deceased. 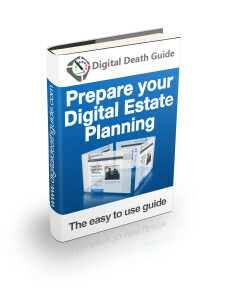 Unfortunately, as every firm is performing underneath the authorized restraints and uncertainty nonetheless surrounding the digital estate planning, there isn’t any uniformity in approaches chosen by every firm, which makes it tough to search out the suitable method and navigate by way of the procedures. The procedures a person should observe to entry the info pertaining to the deceased vary from sending a standard letter with a duplicate of a demise certificates, will, authorities IDs, private contact data, proof of relationship, and different verifying data of the deceased, to sending an electronic mail with sure data or proof of being appointed a fiduciary, to filling out an internet type with no further verification. Apart from time delay, a few of these approaches add a considerable quantity of paperwork. Passwords and PIN Codes. Passwords are the important thing to entry our many units and recordsdata. Our telephones are password protected, our computer systems and emails are password protected, all of our on-line monetary accounts are password protected, and even now our flash drives will be password protected. 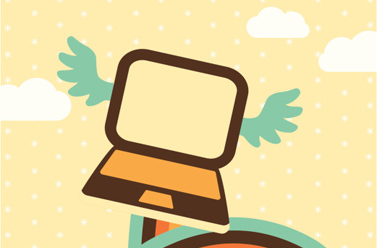 Without entry to the passwords, the Digital Assets saved in these gadgets and in these on-line areas are of lowered if any worth. Encryption. 32-bit, sixty four-bit, 128-bit, and 256-bit encryption are all ranges of encryption used to additional safe domestically or remotely saved information, or knowledge that’s being transported on-line from a service supplier to your pc or cellphone. Fiduciaries who’re unable to seek out, guess or in any other case use passwords to open secured accounts are left with the choice of attempting to interrupt the encryption that secures the digital asset. However, that is simpler mentioned than executed! As reported by Seagate, a number one expertise firm, in 2008, a file encrypted with 128-bit AES encryption has over 340,000,000,000,000,000,000,000,000,000,000,000,000 potential mixtures, or sufficient to maintain 70 billion computer systems busy computing for over seventy seven billion years at 2008 computing speeds to guess the right key to unlock the encryption. With this in thoughts, cracking or guess in password appears a complete lot extra life like than cracking the encryption. In case you had been questioning, it’s believed that the present 256 AES encryption will be ample encryption safety till roughly the yr 2031, when pc will be quick sufficient that this degree of encryption will now not be robust sufficient. CFAA Criminal Laws. As famous above, the Computer Fraud and Abuse Act stands in the way in which of Fiduciaries who try and entry on-line accounts with out acceptable authorization. SCA Privacy legal guidelines. As famous above, the Stored Communications Act prohibits the disclosure of a shopper’s electronically saved info until the fiduciary meets one of many listed exemptions, and even then the service supplier might chorus from disclosing the knowledge or granting entry to the saved info.